Mark’s Gate is a 1960s housing estate near Romford on the edge of greenbelt and isolated from Chadwell Heath and Romford town centre by the A12 Eastway. 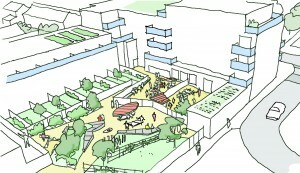 It has a vibrant mixed community with a shopping parade, community facilities and schools at its centre. The parish church is looking to redevelop their site and offer greater levels of community access and provision, while the need for quality new housing is evident too. 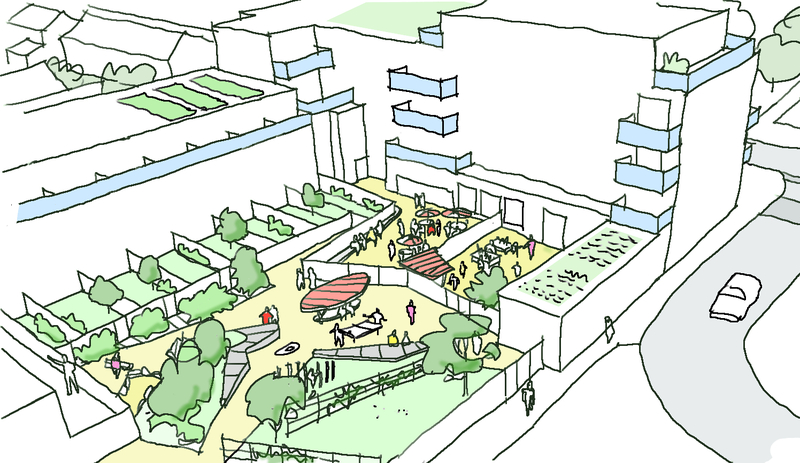 I am delighted to be supporting Arc Design Partnership architects again, this time with clients The Berkeley Foundation and Green Pastures, both in partnership with London Borough of Barking and Dagenham. 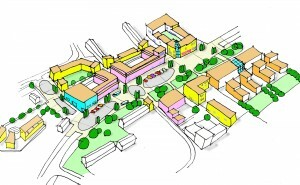 I prepared masterplan ideas that suggest a longer term vision for the local centre as a precursor to discussion on the nature of the development. 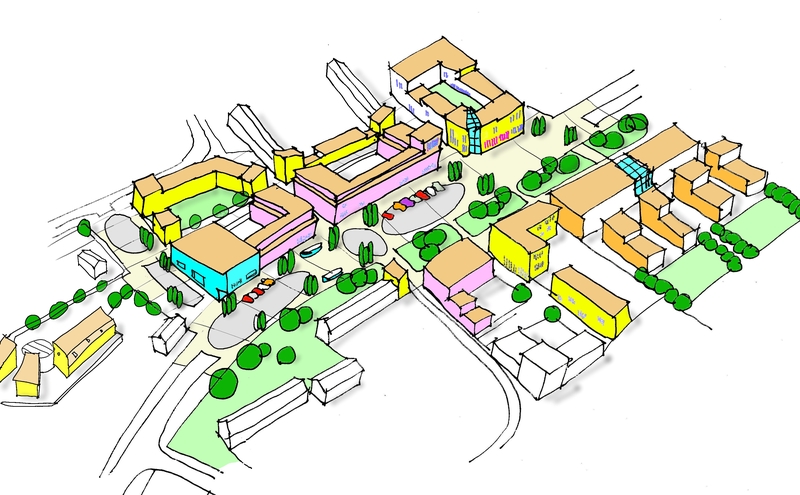 I have then designed detail landscape and public realm proposals for the architects of the community and housing parts of the development for submission in support of the planning application.